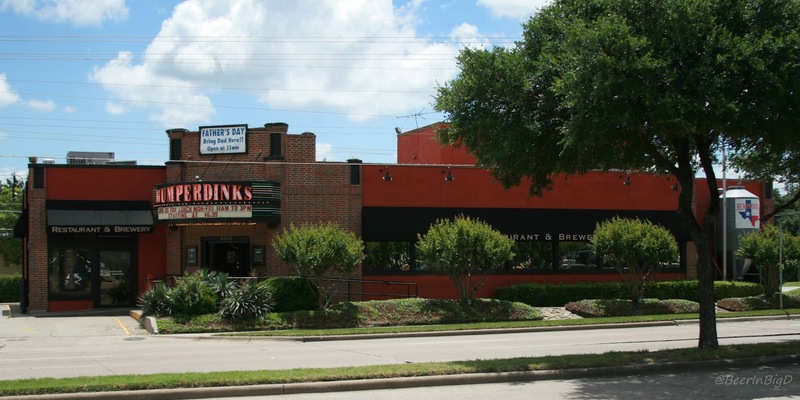 Humperdinks' original location on Greenville Ave. in Dallas (Photo: © Brian Brown/Beer in Big D). The Lake Highlands Advocate reports that Humperdinks Restaurant & Brewpub on Greenville Ave. in Dallas will close after the Super Bowl on Sunday, February 3. The Greenville spot was the first for the local chain, originally opening in 1976. Brewing operations were added in early 1997 - coming online after brewpubs were legalized in Texas during the 1993 legislative session. For a number of years, house beers were crafted under the Big Horn Brewing Co. label, based on a partnership with Washington-based Ram International. That coupling resulted in Big Horn Brewing Co./Humperdinks of Dallas being named Large Brewpub of the Year at the Great American Beer Festival in 2001. As for other locations, brewing operations continue at Humperdinks on Six Flags Drive in Arlington (open since 1995) and W. Northwest Highway in Dallas (open since 1997). An additional site in Addison ceased brewing in 2005, before eventually shuttering in 2017.